Premiere of 'Rio' at Grauman's Chinese Theatre in Hollywood, California. 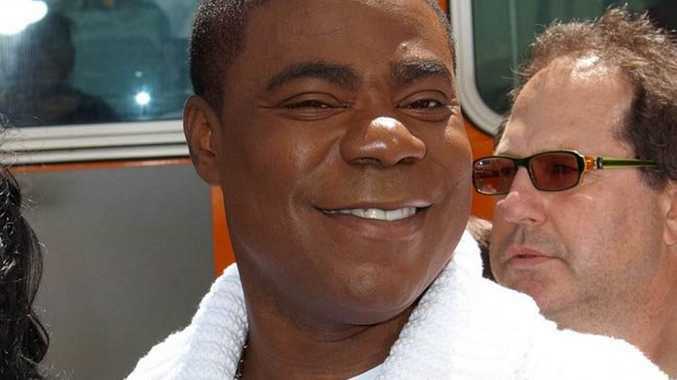 TRACY Morgan's recovery will be 'arduous' after he was involved in a car crash in New Jersey on Saturday, but his leg has not been amputated. The '30 Rock' star - who sustained a number of injuries, including a broken femur, a broken nose and broken ribs, when a Walmart truck smashed into the limo bus in which he was travelling with friends on the New Jersey Turnpike on Saturday - is still in a "critical but stable condition" in hospital and his leg hasn't been amputated. A spokesperson for the actor issued a statement on Monday, saying: "Tracy remains in a critical but stable condition. His fiancée Megan [Wollover] is by his side. The concern for his well-being has been overwhelming. Kevin Roper, the truck driver involved in the crash, has been charged with one count of death by auto and four counts of assault by auto in connection with the crash, but is currently free on $50,000 bail after turning himself into police.